Economy, quality and Lyman innovation at an affordable price. Don't sacrifice quality and Lyman innovation to get an affordable price. Trims cases .17 through .458 Win. Mag. 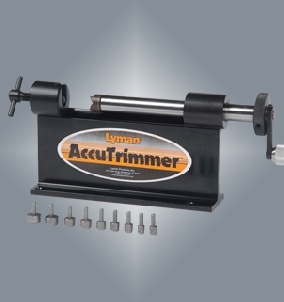 Uses standard shellholders to position cartridge and standard Lyman cutter heads and pilots. Available with our popular nine Pilot Multi-Pack. Purchase with shellholder set and reloader has universal "trimability".